When I was growing up, my parents always supported and induced me to play and learn electronics and software development. I recall clearly that my mother used to call Computer Science (term non-existent at the time) Cybernetics (a more encompassing term at this day and age). If it was not for that support I might be doing something less interesting. STEM is an important carrier for future generations. It is good for our society and way of life. Now and then I get a chance to promote to a child Computer Science. Using a Raspberry Pi (looks like a toy) is simpler and less intimidating than using a pedestal computer with several monitors and multiple processors and cores. For my personal edification, I also like to tinker with the Pi. A decade or two ago, it used to take a team of electrical engineers and technicians, time and budget to build a hardware prototype. Today that has changed. What used to be several months and possibly hundreds of thousands of Dollars may be accomplished in a few days with about $100 USD. This is the main reason I like the Pi. 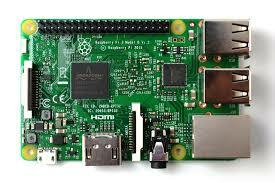 I am currently interested in developing a hardware and software environment to experiment with an idea. At this time, I will keep the idea to myself. In a nutshell I would periodically collect some images / video. The selected data would then be sent to a RESTful service to get additional processing. Some data would be extracted and placed in a database. The data would then be made available on a RESTful service. I need the gadget that will collect, perform some simple processing and send it for processing and information extraction. This is what the IoT (Internet of Things) is all about. If you think this is the stuff of small startups you probably do not know that most (never say all) top five software companies (Amazon, Google, Apple, Facebook and Microsoft) in the USA (and probably the world) are spending billions on the infrastructure and software to process data and convert it into information to manage IoT devices (i.e., lights, thermostats, and TV sets among others) and provide portals to clients to interact with them. 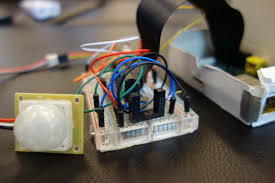 The idea is to build a proof of concept using a Pi and then decide if it is reasonable to move forward with patents, actual prototypes and commercialization. All this can be achieved with a couple hundred USD and several weekends. That said; I also have several Linux machines at home. One is typically off the grid and powered off. It runs Kali Linux. This machine was built as a penetration testing system. I have to be very careful when I experiment with it. 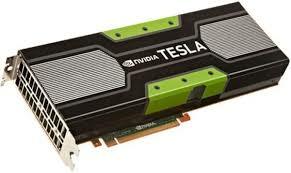 I also have another Linux machine with a Tesla GPU card with about 800 processors. After the hardware prototype and RESTful service are operational, will use that machine to process the raw data and extract information. The extracted information will then be stored in a MySQL database for users to access. Hope this entry has answered my motivation to experiment and play with the Raspberry Pi. It is a Linux machine and you can use Java and Python. I am planning on developing some basic software in it. The core will be done in my main developing machine with multiple CPUs and multiple cores. If you have comments or questions, please do not hesitate and contact me via email. Will be glad to clarify or address errors and omissions.